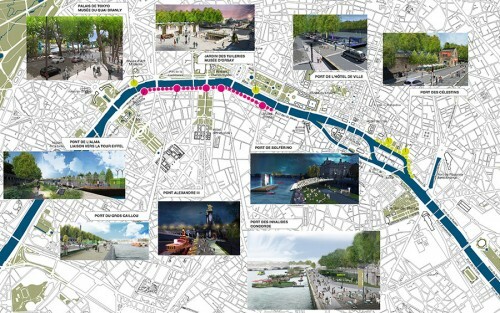 Delanoë has made it his mission to reverse Paris’ auto-centric planning mentality, increasing the number of bicycle and bus lanes in the city while implementing bike– and electric car-share schemes. 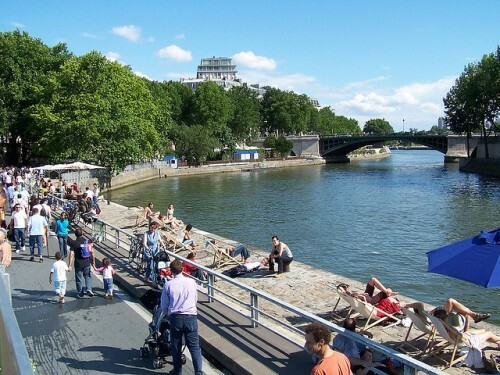 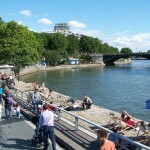 The pedestrianization of the Seine also follows Delanoë’s Paris-Plages program, started in 2002, that transforms small stretches of riverbank into sand-covered beaches complete with palm trees and deckchairs for one month each summer. 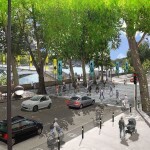 Starting next month, a stretch of road on the Right Bank starting at the Hôtel de Ville and running eastward a little more than half a mile will be narrowed and additional speed-controlling traffic lights and pedestrian crossings will be installed. Pedestrian corridors and bicycle lanes will be added to the road, along with bars and cafes (some of them on floating barges and islands). 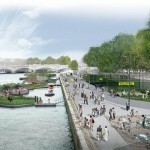 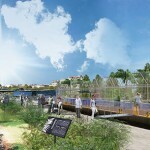 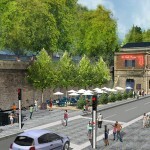 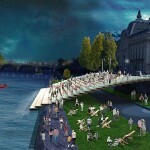 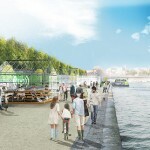 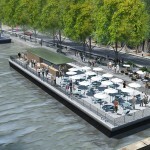 The next stage, to be unveiled next spring, will replace the road completely for a one-and-a-half-mile stretch of the Left Bank between the Musée d’Orsay and the Pont de l’Alma, creating an 11-acre park with volleyball courts, sundecks, and floating gardens. 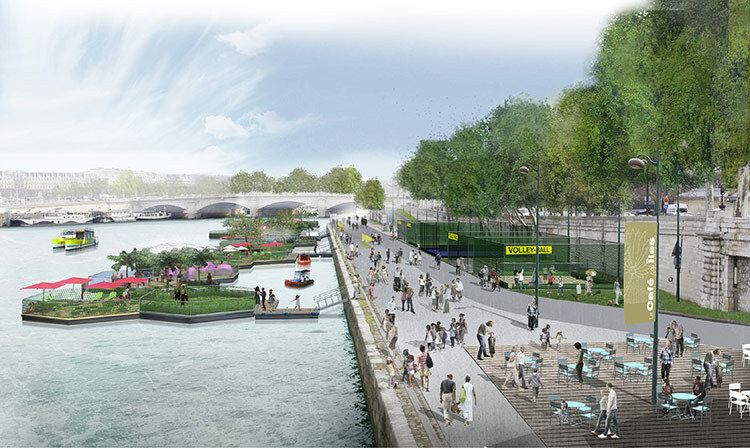 This corridor will be connected to the Right Bank by new pedestrian crossings at Debilly (adjacent the Eiffel Tower) and Jardins des Tuileries (adjacent the Louvre). 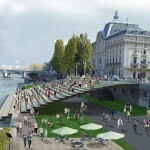 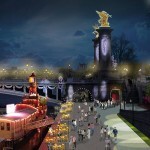 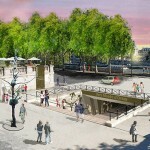 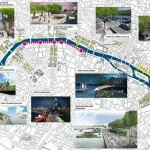 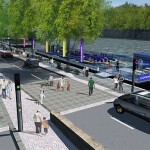 It is expected these modifications will add only six minutes to the average commute while restoring access to the riverfront to Parisians and tourists alike.